Residents and visitors will get a glimpse of a future city, where public transport takes precedence and infrastructure is in place to encourage walking and cycling. The Sandton CBD will be decongested during the Festival, as residents and visitors will be encouraged to walk, cycle, share, and use public transport. The City has already initiated the construction of dedicated cycle lanes and has improved sidewalks across Johannesburg. A five-kilometer development in Orlando has been completed; the route linking Alexandra with Sandton, and a 20-kilometer stretch in Ivory Park, will be finished in 2016. 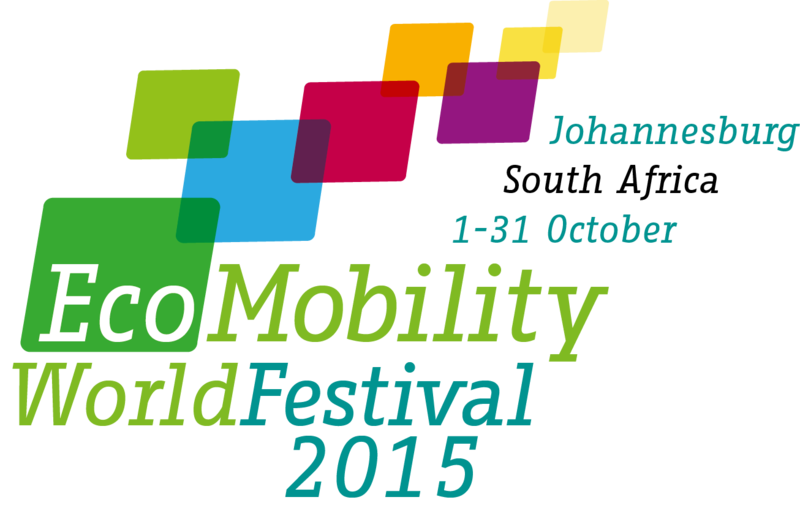 Safe public transport alternatives are vital to the success of an ecomobile future. The City is working to develop a seamless transport system where people can switch from the Gautrain, the Metrobus, and the Rea Vaya, to taxis, cycling and walking in one integrated network. “We want to show the world that an ecomobile future is possible and that public transport, walking and cycling can be accessible, safe and attractive”, explained Cllr Mpho Parks Tau, Executive Mayor of Johannesburg. In the EcoMobility dialogues, taking place from 5 to 9 October, members of the public can join international experts and activists to discuss the role of transport in climate change and what it will take to achieve an ecomobile future. The public Imbizos take place on 7 and 8 October at the IDC Conference Centre. Sandton in October will be a joyful place to be. Pop-up parks, restaurants and food stalls, and entertainment stands will be located on the roads that are being closed to normal traffic. Visitors and residents will be able to ride on modern ecomobility vehicles such as tuk-tuks, pedicabs and electric vehicles. In addition, participants will be able to watch the finals of the Rugby World Cup (31 October) live on giant screens. 9. You can bring your friends. The streets of Sandton will be alive with activities and opportunities for leisure throughout October. Sporting activities such as action soccer and action netball will be hosted, and regular walks and cycle rides for the whole family will take place to encourage healthy living. 10. The future starts now! Sustainable transport can help to mitigate climate change and reduce carbon emissions. The decisions we take today will determine the future for coming generations.